یوسف زاده ثانی, سپیده, مرتضوی, سید علی, شیخ الاسلامی, زهرا, کریمی, مهدی, الهامی‎راد, امیر حسین. (1396). کاربرد های امواج فراصوت در صنایع غذایی و نقش آن دربهبود کیفیت فرآورده های سوخاری. مجله صوت و ارتعاش, 6(12), 105-119. سپیده یوسف زاده ثانی; سید علی مرتضوی; زهرا شیخ الاسلامی; مهدی کریمی; امیر حسین الهامی‎راد. "کاربرد های امواج فراصوت در صنایع غذایی و نقش آن دربهبود کیفیت فرآورده های سوخاری". مجله صوت و ارتعاش, 6, 12, 1396, 105-119. یوسف زاده ثانی, سپیده, مرتضوی, سید علی, شیخ الاسلامی, زهرا, کریمی, مهدی, الهامی‎راد, امیر حسین. (1396). 'کاربرد های امواج فراصوت در صنایع غذایی و نقش آن دربهبود کیفیت فرآورده های سوخاری', مجله صوت و ارتعاش, 6(12), pp. 105-119. یوسف زاده ثانی, سپیده, مرتضوی, سید علی, شیخ الاسلامی, زهرا, کریمی, مهدی, الهامی‎راد, امیر حسین. کاربرد های امواج فراصوت در صنایع غذایی و نقش آن دربهبود کیفیت فرآورده های سوخاری. مجله صوت و ارتعاش, 1396; 6(12): 105-119. امروزه استفاده از امواج فراصوت با توجه به اثرات مؤثر آن در نگهداری و فرایند مواد غذایی رو به گسترش است. از این امواج برای تشخیص، اندازه‌گیری و به‌عنوان کمک فرایند در کنار سایر فرایندهای مواد غذایی استفاده می‌شود. در این مقاله مهم‌ترین کاربردهای فراصوت در مواد غذایی (استخراج ترکیبات، غیرفعال‌سازی میکروارگانیسم‌ها، کاربرد در کشاورزی و ....) و همچنین تأثیر آن به‌عنوان یک روش غیرتخریبی در بهبود کیفیت فراورده‌های سوخاری، بررسی و تحلیل شده است. Azizi, R., Farahnaky, and A., “Ultrasound assisted cold gelation of kappa carrageenan dispersions”, Carbohydrate Polymers, vol.95, no.1, 2013, pp.522– 529. Camino, N.A., Perez, O.E., Pilosof, A. M., “Molecular and functional modification of hydroxypropyl methyl cellulose by high-intensity ultrasound”, Food Hydrocolloids, vol.23, no.4, 2009, pp.1089–1095. Huang, Q., Li, L., Fu, and X. “Ultrasound effects on the structure and chemical reactivity of cornstarch granules”, Starch/Stärke, vol.59, no.8, 2007, pp.371–378. Reddy I. and Seib P.A., "Modified Waxy Wheat Starch Compared to Modified Waxy Corn Starch", Journal of cereal science, vol.31, no.1, 2000, pp.25-39. HerCeg, I. L., Jambrak, A. R., ŠubArIć, D., Brnčić, M., Brnčić, S. R., Badanjak, M., & Herceg, Z., “Texture and pasting properties of ultrasonically treated corn starch”, Czech J. Food Sci, vol.28, no.2, 2010, pp.83-89. Karimi M., Poor Azarang H., and Nasiri M., “The effect of ultrasound on some properties of potato and wheat starches”, J. Agric. Eng. Res., vol.1, 2008, pp.95-108. Craig S.A.S., Maningat C.C., Seib P.A., and Hoseney R.C., “Starch paste clarity”, Cereal Chem., vol.66, 1989, pp.173-182. Ratnayake, W. S. and Jackson, D. S. “A new insight into the gelatinization process of native starches”, Carbohyd. Polym, vol.67, no.4, 2007, pp.511-529. Manas, P., Munoz, B., Sanz, D., Condon, S., “Inactivation of lysozyme by ultrasonic waves under pressure at different temperatures” Enzyme and Microbial Technology, vol.39, no.6, 2006, pp.1177-1182. Lopez, P., Burgos, J., “Lipoxygenase inactivation by manothermosonication: effects of sonication physical parameters, pH, KCl, sugars, glycerol, and enzymeconcentration”, Journal of Agricultural and Food Chemistry, vol.43, no.3, 1995, pp.620-625. Lopez, P., Sala, F.J., de la Fuente, J., Condon, S., Raso, J. Burgos, J., “Inactivation of peroxidase, lipoxygenase, and polyphenol oxidase by manothermosonication”, Journal of Agricultural and Food Chemistry, vol.42, no.2, 1994, pp.252- 256. Vercet, A., Burgos, J., Crelier, S., Lopez- Buesa, P., “Inactivation of proteases and lipases by ultrasound”, Innovative Food Science & Emerging Technologies, vol.2, no.2, 2001, pp.139- 150. Iida, Y., Tuziuti, T., Yasui, K., Towata, A., Kotuku. T., “Control of viscosity in starch and polysaccharide solutions with ultrasound after gelatinization”, Innovative Food Science and Emerging Technologies, vol.9, no.2, 2008, pp.140–146. Karaman, S., Yilmaz, M.T., Ertugay, M.F., Baslar, M., Kayacier, “Aeffect of ultrasound treatment on steady and dynamic shear properties of glucomannan based salep dispersions: Optimization of amplitude level, sonication time and temperature using response surface methodology”, Ultrasonic Son chemistry, vol.19, no.4, 2012, pp.928–938. Soria, A. C., Villamiel, M., “Effect of ultrasound on the technological properties and bioactivity of food: a review”, Trends in Food Science & Technology, vol.21, no.7, 2010 pp.323-331. Wong, S. S., Kasapis, S., Tan, Y.M., “Bacterial and plant cellulose modification using ultrasound irradiation”, Carbohydrate Polymers, vol.77, no.2, 2009, pp.280–287. Huang, Q., Li, L. and Fu, X., “Ultrasound effects on the structure and chemical reactivity of cornstarch granules”, Starch – Stärke, vol.59, no.8, 2007, pp.371-378. Donald, A. M., “Understanding Starch Structure and Functionality”, Starch in Food: Structure, Function and Applications, 2004, PP.156-184. Gallant, D., Degrois, M., Sterling, C. and Guilbot, A., “Microscopic effects of ultrasound on the structure of potato starch preliminary study”, Starch – Stärke, vol.24, no.4, 1972, pp.116-123. Awad, T.S., Moharram, H.A., Shaltout, O.E., Asker, D., Youssef, M.M., “Applications of ultrasound in analysis, processing and quality control of food: A review”, Food Research International, vol.48, no.2, 2012, pp.410–427. Azizi, R., Farahnaky, A., “Ultrasound assisted cold gelation of kappa carrageenan dispersions” Carbohydrate Polymers, vol.95, no.1, 2013, pp.522–529. Camino, N.A., Perez, O.E., Pilosof, A. M., “Molecular and functional modification of hydroxypropy lmethyl cellulose by high-intensity ultrasound” Food Hydrocolloids, vol.23, no.4, 2009, pp.1089–1095. Huang, Q., Li, L., Fu, and X., “Ultrasound effects on the structure and chemical reactivity of cornstarch granules”, Starch/Stärke, vol.59, no.8, 2007, pp.371–378. Iida, Y., Tuziuti, T., Yasui, K., Towata, A., Kozuka. T., “Control of viscosity in starch and polysaccharide solutions with ultrasound after gelatinization”, Innovative Food Science and Emerging Technologies, vol.9, no.2, 2008, pp.140–146. Zhu, J., Li, L., Chen, L., Li, X., “Study on supramolecular structural changes of ultrasonic treated potato starch granules”, Food Hydrocolloids, vol.29, no.1, 2012, pp.116-122. Albert, A., Varela, P., Salvador, A., & Fiszman, S. M., “Improvement of crunchiness of battered fish nugget”, European Food Research Technology, vol.228, no.6, 2009, pp.923–930. میلانی ، ا.، اپوراذرنگ، ه.، کدخدایی، ر.، وطن خواه ، ش.، "بررسی کارایی امواج فراصوت در استخراج اینولین از غده سیب زمینی و بهینه سازی شرایط استخراج به روش سطح پاسخ" ،نشریه پژو هش‌های علوم و صنایع غذایی، جلد.6، 1389، صص.2-6. Dolatowski Z.J., Stadnik J., and Stasiak D., "Applications of Ultrasound in Food Technology", Acta Scientiarum Polonorum Technologia Alimentaria, vol.6, no.3, 2007, pp.88-99. Czechowska-Biskupa R., Rokitaa B., Lotfyb S., Ulanskia P., and Rosiaka J.M., “Degradation of Chitosan and Starch by 360- kHz Ultrasound”, Carbohyd. Polymers, vol.60, no.2, 2005, pp.175-184. Luo Z., Fu X., He X., Luo F., Gao Q., and Yu S., “Effect of Ultrasonic Treatment on the Physicochemical Properties of Maize Starches Differing in Amylose Content”, Starch/Stärke, vol.60, no.11, 2008, pp.646-653. Jambrak A.R., Herceg Z., Subaric D., Babic J., Brncic M., Brncic S.R., and Bosiljkov T., Cvek D., Tripalo B., Gelo J., “Ultrasound Effect on Physical Properties of Corn Starch”,Carbohydrate Polymers, vol.79, no.1, 2010, pp.91-100. Huang Q., Li L., and Fu X., “Ultrasound Effects on the Structure and Chemical Reactivity of Corn Starch Granules”, Starch/ Stärke, vol.59, no.8, 2007, pp.371-378. Chung K.M., Moon T.W., Kim H., and Chun J.K., “Physicochemical properties of sonicated mung bean, potato, and rice starches”, Cereal Chemistry, vol.79, no.5, 2002, pp.631-633. Wang L. and Wang Y.J., “Application of high-intensity ultrasound and surfactants in rice starch isolation”, Cereal Chemistry, vol.81, no.1, 2004, pp.140-144. Ovsianko, S. L., Chernyavsky, E. A., Minchenya, V. T., Adzerikho, I. E., & Shkumatov, V. M., “Effect of ultrasound on activation of serine proteases precursors”, Ultrasonics sonochemistry, vol.12, no.3, 2005, pp.219-223. Mason, T.J., Paniwnyk, L., Lorimer, J.P. “The use of ultrasound in food technology”, Ultrasonic Son chemistry, vol.3, no.3, 1996, pp.5253-5266. Ahmadi, F, et al., “Antioxidant activity of Kelussia odoratissima Moza, in model and food systems”, Food Chemistry, vol.105, no.1, 2007 pp.57- 64. Povey, M.J.W. and McClements, D.J., “Ultrasonic in food engineering. Part I: Introduction and Experimental methods”, Journal of. Food Engineering, vol.8, no.4, 1989 pp.217-245. Povey, M.J.W., “Ultrasonic in food engineering. Part II: Applications”, Journal of Food Engineering, vol.9, no.1, 1989 pp.1-20. احمدزاده قویدل، ر.، احمدی، س.، شیخ الاسلامی، ز. "استخراج آنتوسیانین از ریحان قرمز به‌عنوان گیاهی دارویی برای پیشگیری از سرطان‌ها، توسط اولتراسوند، به ‌روش پاسخ سطح"سومین همایش ملی علوم و صنایع غذایی، قوچان، دانشگاه آزاد اسلامی واحد قوچان ، 1392. احمدی، س.، یوسف‌زاده، س.، طاهری، م. "بهینه سازی استخراج آنتوسیانین از گیاه حسن‌یوسف، توسط اولتراسوند، به روش پاسخ سطح"، سومین همایش ملی امنیت غذایی، 1392، صص. 2-4. Huang, C. L, et al. “Optimization for the Anthocyanin Extraction from purple Sweet Potato Roots, Using Response Surface Methodology”, J. Taiwan Agric. Res, vol.59, no.3, 2010, pp.143-150. Borges, G. D. S. C., Vieira, F. G. K., Copetti, C., Gonzaga, L. V., & Fett, R., “Optimization of the extraction of ﬂavanols and anthocyanin’s from the fruit pulp of Europe edulis using the response surface methodology”, Food Research International, vol.44, no.3, 2011, pp.708 –715. Yang, Z., & Zhai, W., "Optimization of microwave-assisted extraction of anthocyanins from purple corn (Zea mays L.) cob and identification with HPLC–MS”, Innovative food science & emerging technologies, Vol.11, no. (3), 2010, pp.470-476. Tang, Z., et al., “Optimization of Ultrasound-Assisted Extraction of Anthocyanin’s from Mulberry”, Using Response Surface Methodology. Int. J. Mol. Sic, 2011, pp.3006-3017. Chen, F., Sun, Y., Zhao, G., Liao, X., Hu, X., Wu, J., & Wang, Z., “Optimization of ultrasound-assisted extraction of anthocyanins in red raspberries and identification of anthocyanins in extract using high-performance liquid chromatography–mass spectrometry”, Ultrasonics Sonochemistry, vol.14, no.6, 2007, pp.767-778. Luque-Garcıa, J. L., & De Castro, M. L., “Ultrasound: a powerful tool for leaching”, TrAC Trends in Analytical Chemistry, vol.22, no.1, 2003, pp.41-47. Wang, L., & Weller, C. L., “Recent advances in extraction of nutraceuticals from plants”, Trends in Food Science & Technology, vol.17, no.6, 2006, pp.300-312. Romdhane, M., & Gourdon, C., “Investigation in solid–liquid extraction: influence of ultrasound”, Chemical Engineering Journal, vol.87, no.1, 2002, pp.11-19. Seshadri, R., Weiss, J., Hulbert, G. J., & Mount, J., “Ultrasonic processing influences rheological and optical properties of high-methoxyl pectin dispersions”, Food Hydrocolloids, vol.17, no,2, 2003, pp.191-197. Funami, T., Zhang, G., Hiroe, M., Noda, S., Nakauma, M., Asai, I., & Phillips, G. O., “Effects of the proteinaceous moiety on the emulsifying properties of sugar beet pectin”, Food Hydrocolloids, vol.21, no.8, 2007, pp.1319-1329. Garna, H., Mabon, N., Robert, C., Cornet, C., Nott, K., Legros, H., & Paquot, M., “Effect of extraction conditions on the yield and purity of apple pomace pectin precipitated but not washed by alcohol”, Journal of Food Science, vol.72, no.1, 2007. Panchev, I. N., Kirtchev, N. A., & Kratchanov, C. G., “On the production of low esterified pectins by acid maceration of pectic raw materials with ultrasound treatment”, Food Hydrocolloids, vol.8, no.1, 1994, pp.9-17. Altunakar, B., Sahin, S., & Sumnu, G., “Functionality of batters containing different starch types for deep-fat frying of chicken nuggets”, European Food Research and Technology, vol.218, no.4, 2004, pp.318-322. Jayasooriya, S. D., Torley, P. J., D’arcy, B. R., & Bhandari, B. R., “Effect of high power ultrasound and ageing on the physical properties of bovine Semitendinosus and Longissimus muscles”, Meat Science, vol.75, no.4, 2007, pp.628-639. Sagas, J. F., Zayas, Y. F., Gorbatov, W.M., and Gorbatov, V.M., “Use of ultrasonic sin meat technology, II”, Fleischwirtschaft, vol.58, no.7, 1978b, pp.1143-6. Dogan, S. F., Sahin, S., & Sumnu, G., “Effects of soy and rice flour addition on batter rheology and quality of deep-fat fried chicken nuggets”, Journal of Food Engineering, vol.71, no.1, 2005, pp.127-132. Tester, R. F., Karkalas, J., & Qi, X., “Starch—composition, fine structure and architecture”, Journal of Cereal Science, vol.39, no.2, 2004, pp.151-165. Mason, W. R., “Starch use in foods”, In Starch (Third Edition), 2009, pp. 745-795. 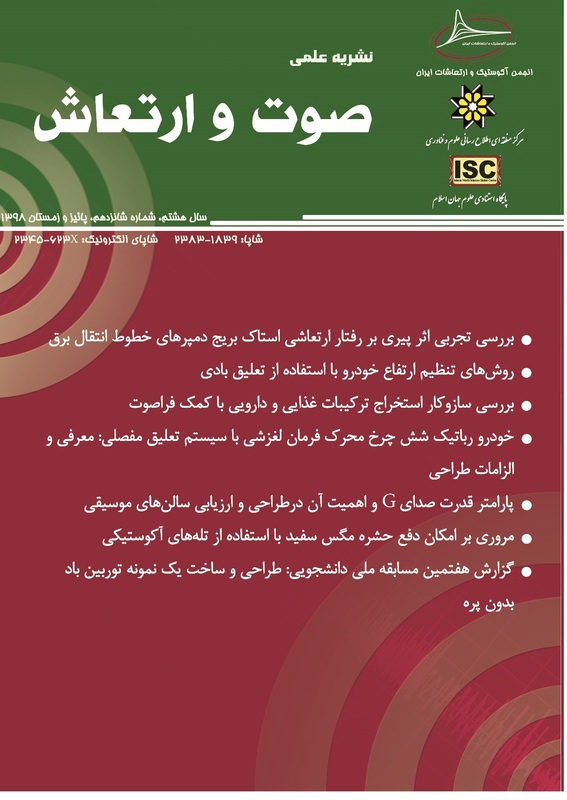 Farahnaky A., Majzoobi M., and Mesbahi G.R., “Properties and Application of Hydrocolloids in Food and Medicinal Products”, Elm-e- Keshavarzi-e- Iran, Tehran, 1st ed., 2009, pp.113-185. Lewandowicz, G., Jankowski, T., & Fornal, J., “Effect of microwave radiation on physico-chemical properties and structure of cereal starches” Carbohydrate Polymers, vol.42, no.2, 2000, pp.193-199. Cheyne, A., Barnes, J., Gedney, S., & Wilson, D. I., “Extrusion behaviour of cohesive potato starch pastes: II. Microstructure–process interactions” Journal of food engineering, 2005, vol.66, no.1, pp. 13-24. Kim, N. H., Kim, J. H., Lee, S., Lee, H., Yoon, J. W., Wang, R., & Yoo, S. H., “Combined effect of autoclaving‐cooling and cross‐linking treatments of normal corn starch on the resistant starch formation and physicochemical properties”, Starch‐Stärke, vol.62, no.7, pp.358-363. Soria, A. C., & Villamiel, M., “Effect of ultrasound on the technological properties and bioactivity of food: a review” Trends in Food Science & Technology, vol.21, no.7, pp.323-331. Quinton, L. A., & Kennedy, J. F., “American Association of Cereal Chemists Approved Methods”, CD-ROM: American Association of Cereal Chemists, 2000, ISBN: 1-891127-13-6. Leach H.W., McCowen L.D., and Schoch T.J., “Structure of the Starch Granule: Swelling and Solubility Patterns of Various Starches”, Cereal Chem., vol.36, 1995, pp.534-544. Millard, M. M., Dintzis, F. R., Willett, J. L., & Klavons, J. A., “Light-scattering molecular weights and intrinsic viscosities of processed waxy maize starches in 90% dimethyl sulfoxide and H2O”. Cereal Chemistry, vol.74 no.5 1997, pp. 687-691. Harding, S. E., “The intrinsic viscosity of biological macromolecules. Progress in measurement, interpretation and application to structure in dilute solution” Progress in biophysics and molecular biology, vol.68, no.2-3, 1997, pp.207-262. Sodhi, N. S., & Singh, N., “Morphological, thermal and rheological properties of starches separated from rice cultivars grown in India”, Food Chemistry, vol.80, no.1, pp.99-108. Torley, P. J. and Bhandari, B. R., “Ultrasound in Food Processing and Preservation”, Rahman, S. (Ed.) Handbook of Food Preservation. CRC Press, 2007. Zuo, J. Y., Knoerzer, K., Mawson, R., Kentish, S., & Ashokkumar, M., “The pasting properties of sonicated waxy rice starch suspensions”, Ultrasonics sonochemistry, vol.16, no.4, 2009, pp.462-468. Luo, Z., Fu, X., He, X., Luo, F., GAO, Q., & Yu, S., “Effect of ultrasonic treatment on the physicochemical properties of maize starches differing in amylose content”, Starch‐Stärke, vol.60, no.11, 2008, pp.646-653. Karaman, S., Yilmaz, M. T., Ertugay, M. F., Baslar, M., & Kayacier, A., “Effect of ultrasound treatment on steady and dynamic shear properties of glucomannan based salep dispersions: optimization of amplitude level, sonication time and temperature using response surface methodology”, Ultrasonics sonochemistry, vol.19, no.4, 2012, pp.928-938. Soria, A. C., & Villamiel, M., “Effect of ultrasound on the technological properties and bioactivity of food: a review” Trends in Food Science & Technology, vol.21, no.7, 2010, pp.323-331. Wong, S. S., Kasapis, S., & Tan, Y. M., “Bacterial and plant cellulose modification using ultrasound irradiation” Carbohydrate Polymers, vol.77, no.2, 2009, pp.280-287. Zhu, J., Li, L., Chen, L., & Li, X., “Study on supramolecular structural changes of ultrasonic treated potato starch granules”, Food Hydrocolloids, vol.29, no.1, 2012, pp.116-122. Salleh-Mack, S. Z., & Roberts, J. S., “Ultrasound pasteurization: the effects of temperature, soluble solids, organic acids and pH on the inactivation of Escherichia coli ATCC 25922” Ultrasonics sonochemistry, vol.14, no.3, 2007, pp.323-329. Tiwari, B. K., Muthukumarappan, K., O’Donnell, C. P., & Cullen, P. J.,”Effects of sonication on the kinetics of orange juice quality parameters”, Journal of Agricultural and Food Chemistry, vol.56, no.7, 2008, pp.2423-2428. Valero, M., Recrosio, N., Saura, D., Muñoz, N., Martí, N., & Lizama, V., “Effects of ultrasonic treatments in orange juice processing” Journal of Food Engineering, vol.80, no.2, 2007, pp.509-516. یوسف زاده ثانی ، س.، شیخ الاسلامی، ز.، صالحی، ا.، "ارزیابی تأثیر فراصوت بر خصوصیات فیزیکو شیمیایی ناگت مرغ سرخ‌شده به روش عمیق"، نشریه علوم و صنایع غذایی، ج.49، 1392، ص.177-185. Durán, M., Pedreschi, F., Moyano, P., & Troncoso, E., “Oil partition in pre-treated potato slices during frying and cooling” Journal of food Engineering, vol.81, no.1, 2007, pp.257-265.